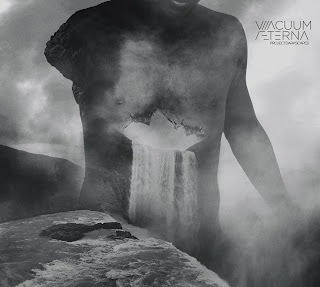 Vacuum Aeterna are a band from Italy that plays a mixture of tribal, industrial, dark ambient and noise and this is a review of their 2017 album "Project:Soundcapes" which was released by Cyclic Law. Atmospheric drones and soundscapes start off the album along with some nature sounds a few seconds later and after awhile harsh noises and elements of dark ambient are added onto the recording and ritualistic chants can also be heard in the background briefly and the songs also incorporate a great amount of field recordings. At times the music gets very experimental and avant garde along with a few tracks being very long and epic in length along with the later songs introducing more underground industrial elements and after awhile the music gets more tribal and shamanistic and most of the music is instrumental along with most of the songs sounding different from each other. 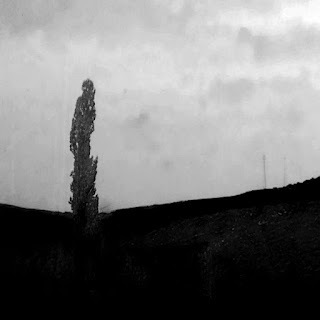 Vacuum Aeterna plays a musical style that takes dark ambient, drone, tribal, industrial and noise and mixes them together to create something very original, the production sounds very dark while the song themes focus on ancient tales and myths. In my opinion Vacuum Aeterna are a very great sounding mixture of tribal, industrial, dark ambient and noise and if you are a fan of those musical genres, you should check out this band. 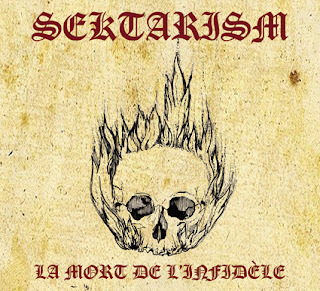 RECOMMENDED TRACKS INCLUDE "Kurtz" "Liminal Rites" "Parasites Fell" and "Enenra". 8 out of 10. Phurpa are a solo project from Russia that plays a mixture of dark ambient, experimental, drone, ritual and shamanistic music and this is a review of his 217 double album "Gyer Ro" which was released by Cyclic Law. Percussions and Tibetan style folk instruments start off the album along with some ritualistic chanting that has almost a very dark and demonic feeling and after awhile shamanistic and tribal style drumming is also added into certain sections of the recording and all of the songs are very long and epic in length. Spoken word parts can also be heard at times and coughs can also be heard in the background briefly and when cymbals a re utilized they give the songs a more experimental and avant garde feeling and the ritualistic Tibetan horns conjure up the Bon spirits and the songs also utilize a great amount of mantras. Phurpa plays a musical style that takes an ancient Bon Po ritual and mixes it with dark ambient, experimental and drone to create something original, the production sounds very dark while the song themes focus around Tibetan Bon Shamanism. In my opinion Phurpa are a very great sounding mixture of dark ambient, experimental, drone, ritual and shamanistic music and if you are a fan of those musical genres, you should check out this solo project. RECOMMENDED TRACKS INCLUDE "Laughter Of To-Nag-Ma" and "Mu-Ye". 8 out of 10. 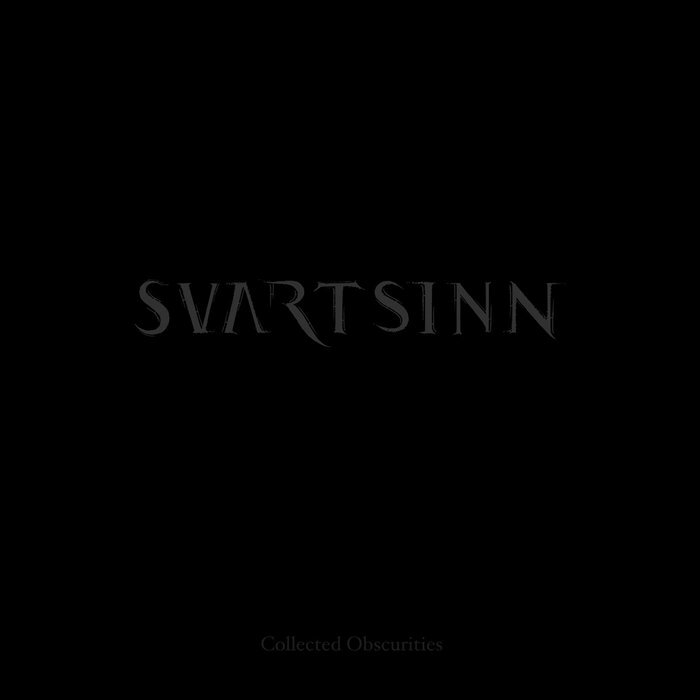 Svartsinn are a solo project from Norway that plays dark ambient and this is a review of his 2017 compilation album "Collected Obscurities" which was released by Cyclic Law. Atmospheric synths and soundscapes start off the compilation along with some elements of dark ambient and the music also gets very experimental at times along with some field recordings and a great portion of the tracks are very long and epic in length and elements of noise can also be heard at times. Drones can also be heard in certain sections of the recording along with most of t he music being instrumental and as the compilation progresses the music gets more diverse and a couple of track also adds in a small amount of spoken word parts and on some of t he later songs they are some tracks that include some studio work from Northhaunt, Allseits, Gydja, and Psychomanteum. 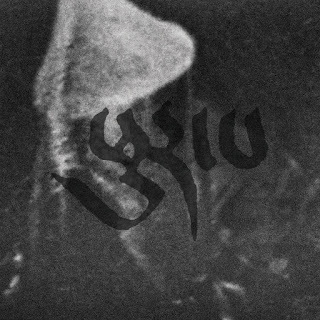 Svartsinn plays a style of dark ambient that also gets very experimental at times along with touches of drone and the production sounds very dark. 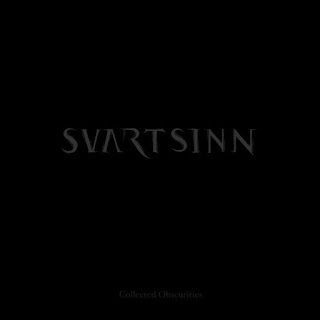 In my opinion Svartsinn are a very great sounding dark ambient solo project and if you are a fan of this musical genre, you should check out this compilation. 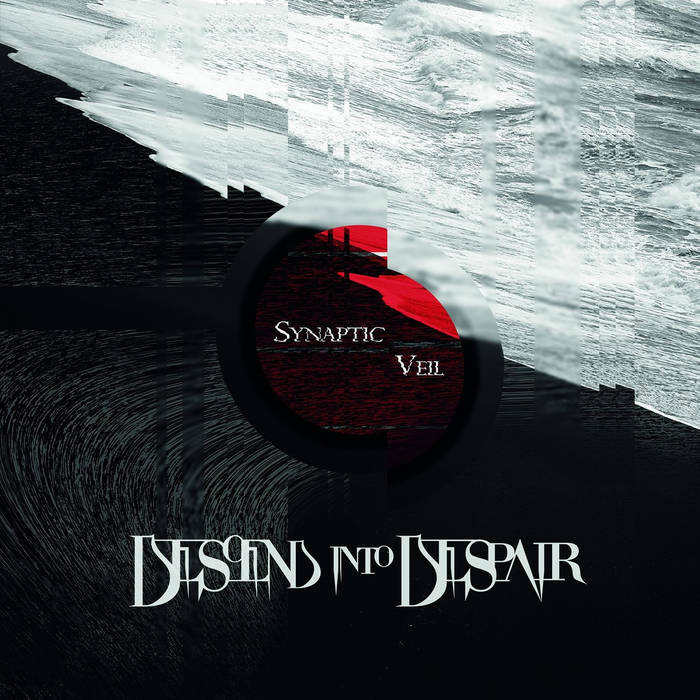 RECOMMENDED TRACKS INCLUDE "The Fading Horizon" "Form Is Emptiness" "Cold But Strong" and "September Dirge". 8 out of 10. 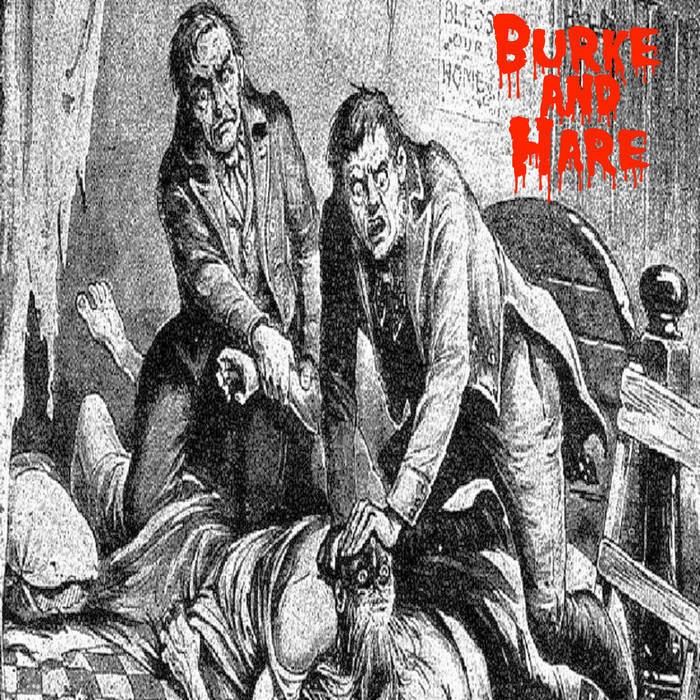 Burke And Hare a band from the United Kingdom that plays a mixture of stone r and sludge metal with touches of black and death metal and this is a review of their self released and self titled 2017 ep. A very heavy stoner metal sound starts off the ep along with some death metal growls and sludge elements a few seconds later and after awhile high pitched screams are added onto the recording and they also add in a touch of black metal while touches of doom metal can be heard in the slow riffs. At times the riffs bring in a decent amount of melody and when t he music speeds up briefly a small amount of blast beats can be heard and the music also brings in a great mixture of both slow and mid paced parts as well as adding in the energy of punk rock and all of the musical instruments sound very powerful and ritualistic spoken word parts are added on the closing track. 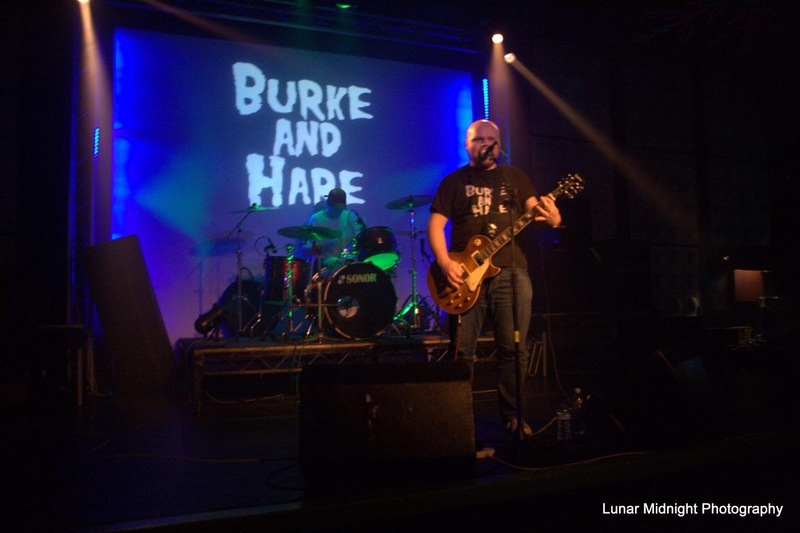 Burk And Hurke plays a musical style that takes stone r and sludge metal and mixes it with touches of black, death metal and punk to create a sound of their own, the production sounds very dark and heavy while the lyrics cover dark themes. In my opinion Burke And Hurke are a very great sounding mixture of stoner and sludge metal and if you are a fan of those musical genres, you should check out this band. RECOMMENDED TRACK "A1m". 8 out of 10. 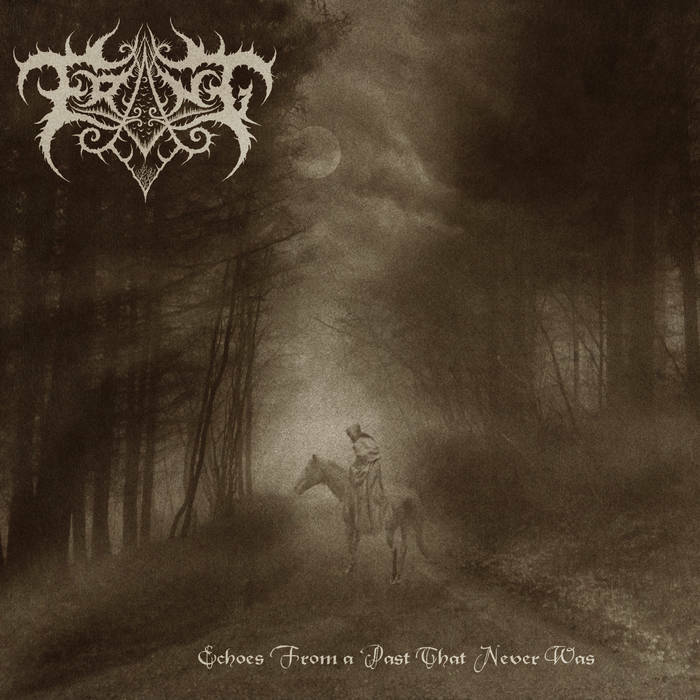 Erang are a solo project from France that has been featured before in this zine and plays a mixture of dungeon synth and medieval fantasy music and this is a review of his self released 2017 compilation "Echoes From A Past That Never Was". Covers by This Mortal Night, Alex Lamia and Arathgoth start off the compilation along with some synths that also use a variety of many different sounding keys along with a medical atmosphere and elements of dungeon synth and dark ambient as well as some programmed beats. Spoken word parts are used briefly while one track also adds in a small amount of operatic female vocals and there is also a brief use of melodic guitar leads along with some heavy riffs and programmed blast beats that are influenced by black metal and most of the tracks are instrumental and almost towards the end a track also brings in black metal screams and clean male vocals are used on the closing song. On this compilation Erang brings in some of his best dungeon synth and medieval fantasy music he has recorded over the years while also adding in a touch of black metal at times and the production sounds very dark. In my opinion this is a very great sounding collection from Erang and if you are a fan of dungeon synth, you should check out this compilation. RECOMMENDED TRACKS INCLUDE "I Dreamt Of AN Emerald Forest" "Golden Age Of the Underwater Kingdom" and "All Te Beauty We Lost", 8 out of 10. 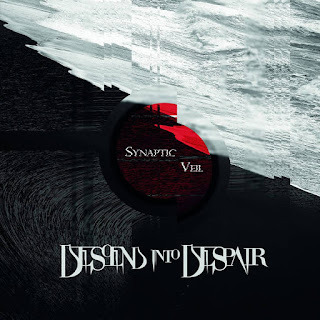 Descend Into Despair are a band from Romania that plays an atmospheric form of funeral doom metal and this is a review of their 2017 album "Synaptic Veil" which was released by Loud Rage Music. Clean guitars start off the album and a few seconds later atmospheric synths and melodic guitar leads are added onto the recording while spoken word parts can also be heard at times and you can also hear all of the musical instruments that are present on the recording and after awhile the music goes into a heavier funeral doom direction. Melodic vocals can also be heard at times while the main focus is on death metal growls and symphonic elements are also used at times along with most of the tracks being very long and epic in length and as the album progresses a brief use of classical guitars can be heard and one track also adds in a small amount of female vocals and the album sticks to a very slow style from beginning to ending of the recording. Descend Into Despair creates another recording that remains true to the atmospheric style of funeral doom metal from previous releases, the production sounds very professional while the lyrics cover despondency, despair, misanthropy, heartache and solitude themes. In my opinion this is another great sounding album from Descend Into Despair and if you are a fan of funeral doom metal, you should check out this recording. RECOMMENDED TRACKS INCLUDE "Alone With My Thoughts" and "Silence In Sable Acrotism". 8 out of 10. Moribundo are a band from Spain that plays funeral doom/death metal and this is a review of t heir 2017 album "Raiz Amarga" which will be released on June 18th as a joint effort between Satanath Records and More Hate Productions. A very heavy doom metal sound starts off the album along with some dark sounding melodies while you can also hear all of the musical instruments that are present on the recording and when guitar solos and leads are utilized they are also done in a very melodic fashion and most of the tracks are very long and epic in length. Grim spoken word parts can be heard at times along with some atmospheric sounding synths and after awhile guttural death metal growls make their presence known along with a small amount of black metal screams and all of the musical instruments have a very powerful sound to them and stringed instruments are also used briefly and when the music speeds up a small amount of blast beats can be heard while the main focus is on a very slow musical style and one track also brings in a brief use of acoustic guitars. Moribundo plays a musical style that takes a modern form of funeral doom and mixes it with 90's era doom/death and a touch of black metal to create a sound of their own, the production sounds very professional while the lyrics are written in Spanish and cover melancholic themes. In my Moribundo are a very great sounding funeral doom/death metal band and if you are a fan of this musical genre, you should check out this album. RECOMMENDED TRACKS INCLUDE "Vida" and "Suicido Illustrado". 8 out of 10. The process of making Solitary IV was hard work and at the same time incredible inspiring. 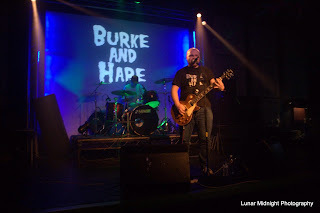 The Soundbyte went straight from recording to work on new material and ideas. The recording of the new album generated both new musical ideas as well as ways of working with sound. It generated so much material to dive into and explore further. So we will back in studio in June rehearsing like we have done more or less continuous for almost three decades. 2.You have a new album coming out during the end of June, how would you describe the musical sound that is presented on the recording and also how does it differ from the stuff you have released in the past? 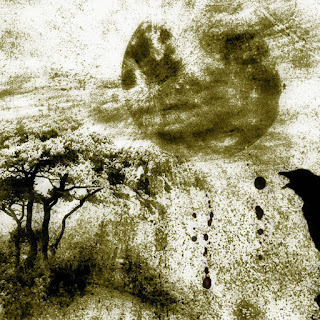 Solitary IV presents a variety of different soundscapes. Like the previous albums it has many layers. Listeners may find that Solitary IV stands out as even darker and more like an introspection, a dystopia than the previous albums. 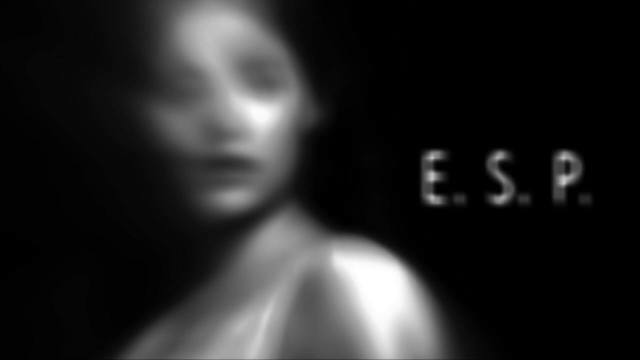 This album becomes visual, drawing on contrasts between a light etheric expression and a massive dark sound. The album does not fit into a defined style, it has become more of an expression in its own right. Still it draws on different inspirational sources the listeners will notice. There are traces of metal and even Norwegian folk music in the music. The record demand something of the listener – some tracks hits immediately, other tracks takes more time. It is a sort of record you can listen to many times, and always find something new. 3.The band has been around since 1998 but have only released 4 full lengths, can you tell us a little bit more about the gap in between releases? The gap between the albums is a result of exploring and developing musical technological tools to create music. Developing it for our use has taken a lot of time. To integrate it as a tool, an extension of the instruments we play has taken even longer. All albums are a step further –the band can be seen upon like a research project where we explore different aspects from record to record. We never do new thing just to do it but learn it, practice it so it is a integral part of the sound and performance – like learning a new instrument every time. We have not worked with lyrics on the two last albums. There are no text or lyrics on Solitary IV. The vocal is the result of an atmosphere created in the process. The vocal is improvised both in the rehearsing and recording settings. The intention behind that is to use the vocal as a part of the instrumentation, enabling the voice to take more and different roles by using effects, foreground, background and so on. We think the listener still would find lyrical meaning within the tracks through the expressions of the human voice. City of Glass was built upon lyrics by the Norwegian artist Paul Irgens, Rivers of broken Glass had lyrics – the last two albums we have explored without, but still with vocal. 5.What is the meaning and inspiration behind the name 'The Soundbyte'? The Soundbyte refers to both the technological in soundbyte. It's a short phrase of a statement as it pictures the way we expand how music can be approached. We play at different scenes and places. All the concerts are unique whether it is a small and more intimate concert or at a major arena. It is almost impossible to pick one performance and say that this was the best; the contact with the audience makes all these settings unique and satisfying. One of the really fine aspects of doing concerts is that we get to visit different places around the world and communicate through music. We are working on new material, and are planning concerts and tours from January 2018. Doing (smaller) concerts before that time is not impossible, but not a main focus right now. Though some concerts we have been asked to do might be hard to say no to. 8.On a worldwide level how has the feedback been to your music by fans of Avant-garde metal? The feedback has been overwhelming. It feels especially good to see that so many listeners embrace the music. The feedback we receive is from fans that comes from all sorts of different genres. We are exploring music and create in our own style. We definitely push ourselves forward. We do not try to make the concept beforehand; all guest musicians contributing into the band also push us out of a predictable way of working. The ground base though will still consist of drums and guitar. I am not sure if it is only music that is our main source of inspiration. We grew up with metal and rock music, and of course we cannot underestimate what that meant to us. At the same time we grew up in and still live in a nature and surroundings that influence the way we form our lives and music. Grounded and torn at the same time. I like to be in activity or learning something new. That is relaxation to me. Skiing (down hill) is a relaxing activity. So is reading. I find pleasure in all kinds of art, as well as science.